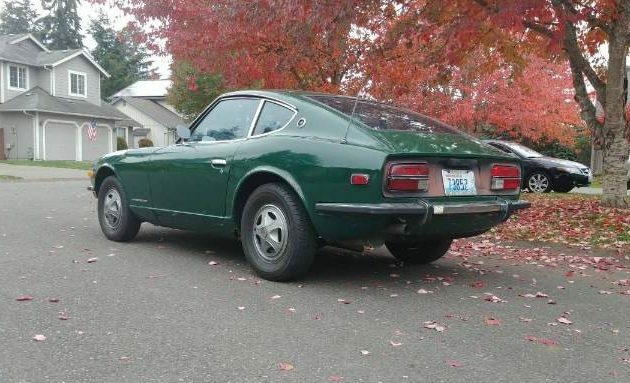 This early-model Datsun 240Z seems like a fair deal at $9,000 if the seller’s description holds water. 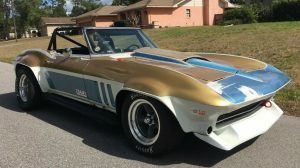 The listing claims the seller purchased the car from the original owner, who had parked the 240Z in his garage for 23 years. 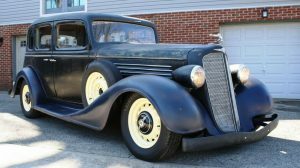 The seller notes an engine-out refresh of the motor and that rust issues are limited to the fenders. Find the Datsun here on craigslist in Seattle. We featured a similar survivor-spec Datsun in green just a few days ago, which is currently bid to $12K on eBay with the reserve unmet. 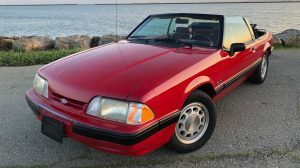 That’s a later car, too, so it’s hard to discern how this one is still sitting for sale considering it’s an earlier model which tend to command more interest (and money). The body appears sound out back, and all glass looks good. The interior is quite nice, with clean door panels and carpets and a seemingly crack-free dash. 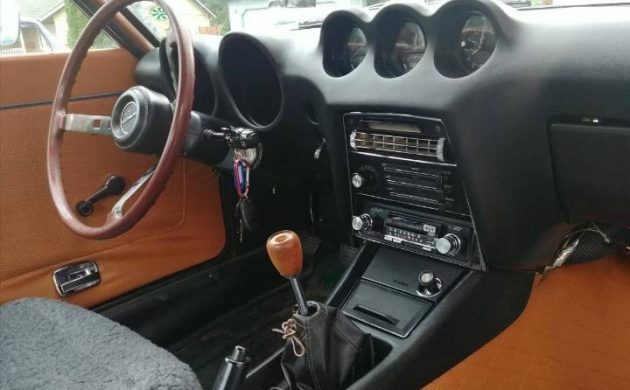 The OEM-correct steering wheel and shift knob are still present, and it looks to have a period-correct radio installed. I’ve learned through marketing the various 240s, 260s, and 280s we have for sale as part of the Georgia collection clean-out that original trim items and uncracked dashes are highly desirable among Z car fanatics. 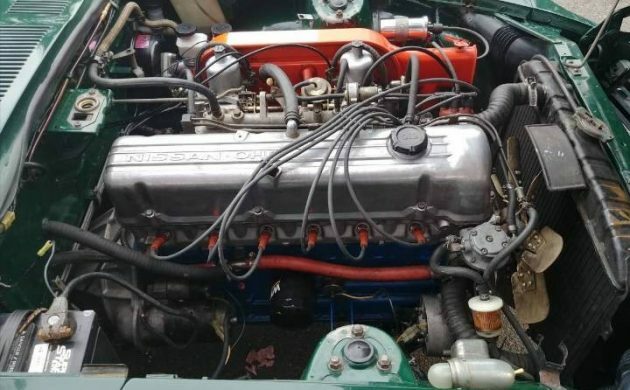 The seller says the inline six was running shortly after removing it from storage but then the motor quit; so, they took the engine out, rebuilt the head, and now it is claimed to run “amazing.” These are appreciating classics that you can still buy for reasonable money, but for how much longer? 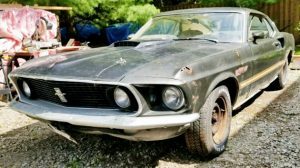 This one seems like a steal at $9K, unless there’s a fatal flaw I haven’t spotted in the photos. It’d be so very easy to jump straight into this and never look back. Particularly compared to the faded red one offered for nearly 3 times the price. This one is better in so very many ways. If you want a 240, this could be your car. I would buy that in a hot minute. But I live in Michigan and that thing would rust out in 7.4 seconds with the climate here. That car deserves better than that. Neat and at a good price ! You think this is a good price? Just curious, what makes a 240 worth over twice as much as a 280? Anything sitting this long is going to have a rift of problems. ” It ran shortly after storage, then quit” so they rebuilt the head? Now runs amazing? That doesn’t sound right, sorry, I think this car will give the next owner plenty of headaches. I’m beginning to talk myself out of one of these, and just go with that cherry Nissan pickup coming up. Because the 240 came first, and is the purest Z in both looks and running gear. I’d take a 240 over a 280 in a NY minute. At 9k it’s a steal, The rarity of the first comers of the s30 line-(240z) is what makes it more desirable over a 280 and therefore worth more than the other Z’s. Hard to read the description when it’s a giant run-on sentence without a period. Typical CL listing. At least it’s not half covered by a tarp. Really dig the color/interior combo! I think this might be a fake ad to get your phone number to sell to scammers.. This ad has been up for 11 days priced at $9K OBO for a solid $30K car? no way is this real. I texted and called the number and got zilch back. I see these ads all the time. Flag it! 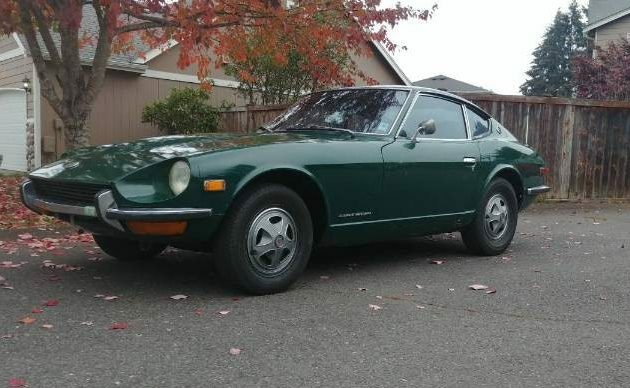 I live in Michigan and have owned a ’77 280 Z for 41 years and by garaging it in the winter it has remained rust free… by the way this Z at $9,000 is a steal.